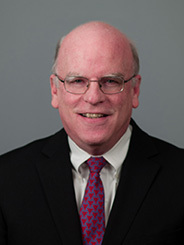 Patrick M Reilly has been engaged in commercial and business litigation for over 35 years representing franchisors, distributors, contractors, builders, lenders, sureties, medical practices, landlords and other business clients. He has extensive trial and appellate experience in complex litigation in federal and state courts, and before arbitration panels. Mr. Reilly has principally handled cases involving breach of contract, commercial fraud, real estate litigation, antitrust, professional malpractice, surety bonds, construction litigation, mechanic liens and foreclosures, franchising litigation, partnership disputes, employment litigation, environmental litigation, and lender liability claims.